The American Federation of Government Employees on Wednesday filed an internal grievance with the Veterans Affairs Department alleging “numerous unfair labor practices” related to the department’s implementation of a series of controversial workforce executive orders. 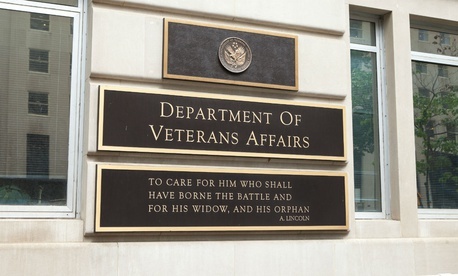 In a filing sent to Kimberly McLeod, executive director in the VA Office of Labor-Management Relations, AFGE’s National Veterans Affairs Council, which represents VA employees, accused leadership of illegally and unilaterally implementing elements of President Trump’s executive order reducing the availability of official time. That order and two others are the subjects of a legal challenge in federal district court. In the grievance, AFGE argued that management’s actions to limit the use of official time to 25 percent of an employee’s work hours, as well as to move to evict the union from agency office space, violate both an existing collective bargaining agreement, as well as the official time executive order itself. AFGE also criticized the department’s “chaotic” implementation of the executive order provisions, which has varied across offices and regions. Last month, union officials told Government Executive that they had received reports of inconsistent enforcement of the new policy, and requests for clarification from management went unanswered.